For 30 years, South by Southwest has been an amazing convergence of music, independent films, and the latest technologies. Each year, we feel pretty lucky to have the opportunity to be exposed to so many awesome bands, tech geniuses, gaming creators, speakers, etc. right here in our own hometown! Wondering what events are cool to take the kids to? There are plenty! We’ve done some research to find the most family friendly events happening during SXSW. Take a look at all that awaits, and plan to make some exciting Spring Break memories with the kids. The following events are free to attend with a Guest Pass. You can get your free Guest Pass online here. March 8, 9 a.m. – 5 p.m. This event is full of hands-on learning stations, interesting presentations and exhibitions, mentors, and even a talent showcase. This Expo is designed to encourage and inspire learners of all ages to identify and reach their education and career goals. March 11-13, 11 a.m. – 6 p.m.
From 3D printing to drones to biohacking and much more, this community event showcases the disruptive solutions that are shaping our future. Experience all the mind-expanding and hands-on fun, for FREE! Before the broadcast debut of the newly re-imagined series this Spring, Cartoon Network will take over the Long Center in Austin and host a fun-filled event under the stars to celebrate the premiere of The Powerpuff Girls! 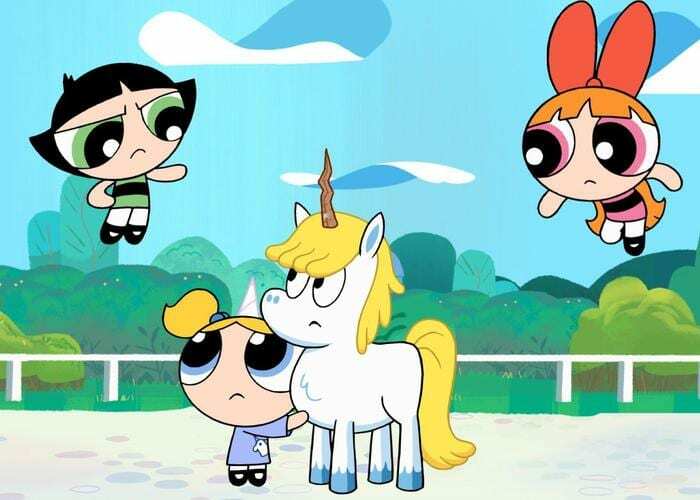 Join Cartoon Network to see episodes from the new series, along with fun, food, and surprises galore. The gaming Expo is free and open to the public with Guest Pass wristbands, which can be found here. The expo combines well-loved elements of geek culture with the cross-console video game world. 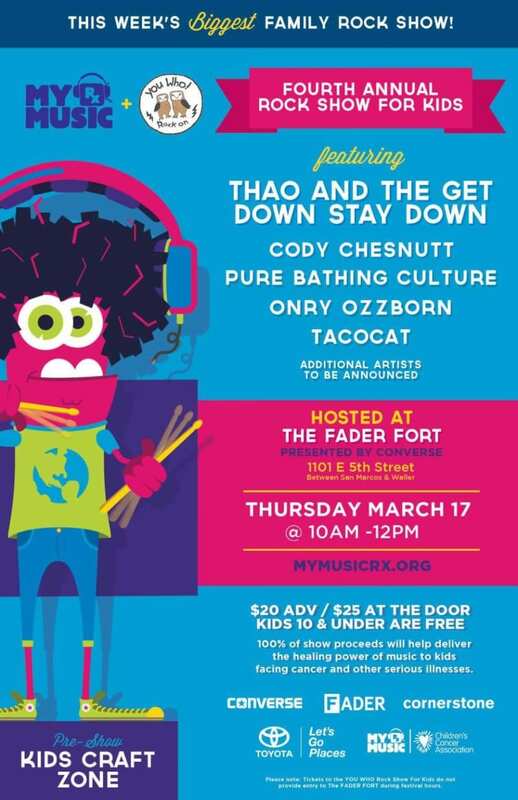 Free, all ages, outdoor shows return to the SXSW Outdoor Stage (located at 800 W Riverside Dr.) with three nights of entertainment. While the line-up for Thursday has not yet been revealed, Friday gates open at 3 p.m. with shows that start at 5 p.m. and includes headliners Coheed and Cambria and more. On Saturday, gates open at 2 p.m. and features music from Group Fantasma, Inotacable and more. March 17-19, 2-6 p.m. on Thurs. ; 11 a.m. – 6 p.m. on Fri.& Sat. Presented by the American Poster Institute (API), Flatstock 53 will display the works of the world’s top gig poster artists. The show runs March 17-19 and will feature posters of varying styles, colors and techniques for sale by the talented artists who created them. You can stop in, browse and shop for cool concert posters and more. Parents are encouraged to bring their little rockers out to one of these events that are tailored to families. If you’re going to take the kids to any party during Spring Break & SXSW, we hope it’ll be ours! We’re so excited about our 2nd Annual Do512 Family Picnic, presented by Howdy Honda. Join us for a magic show, face painting, awesome food trucks and a great line-up of bands, including Hard Proof. FREE with RSVP! March 14 -18, 1 p.m. Families are welcome to the deck at The Little Yoga House for free music daily during Spring Break from 1-2 p.m. The line-up includes… Monday: Duece & Crystal, Tuesday: Strumero, Wednesday: Kosha Dillz, Thursday: Simon Flory, Friday: Full Service. March 15-19, kids activities from 10 a.m. – 12 p.m. & all ages concerts from 5-8 p.m.
TOMS Austin is opening its doors to you and the kids a series of parties, craft sessions, concerts and more. Each day from 10 a.m. – 12 p.m., you can bring the whole family for activities geared towards kids. From 5-8 p.m., enjoy live music for all ages. View the daily line-up here. All of this entertainment is FREE with RSVP! Wednesday, March 16, 3-7 p.m. 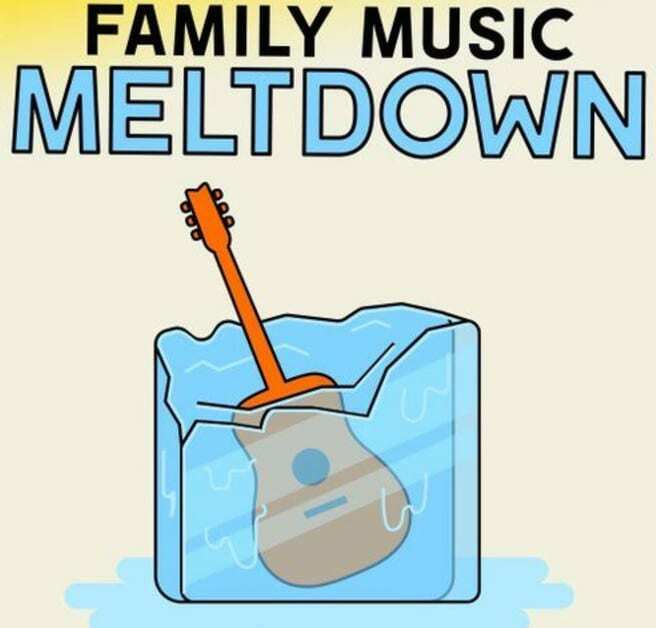 Check out this free family-friendly concert with a stellar lineup of artists, as well as activities for the kids ranging from trampolines for jumping to science activities. FREE with RSVP. This morning Rock Show for Kids will benefit MyMusicRx, the only “kid-prescribed” in-hospital and online music medicine program in the nation. One hundred percent of proceeds will help fund MyMusicRx’s bedside and online programs that deliver the healing power of music to seriously ill kids and teens. Enjoy art activities and music from Thao & The Get Down Stay Down, Cody Chesnutt and more. Tickets are $20 in advance and $25 at the door. Kids 10 & under are free. Buy tickets in advance online here. March 18, 11 a.m. – 4:30 p.m. Enjoy a free tribute to David Bowie, featuring local kid favorites such as Joe McDermott and the Hey Lollies, along with many other musicians. FREE with RSVP. 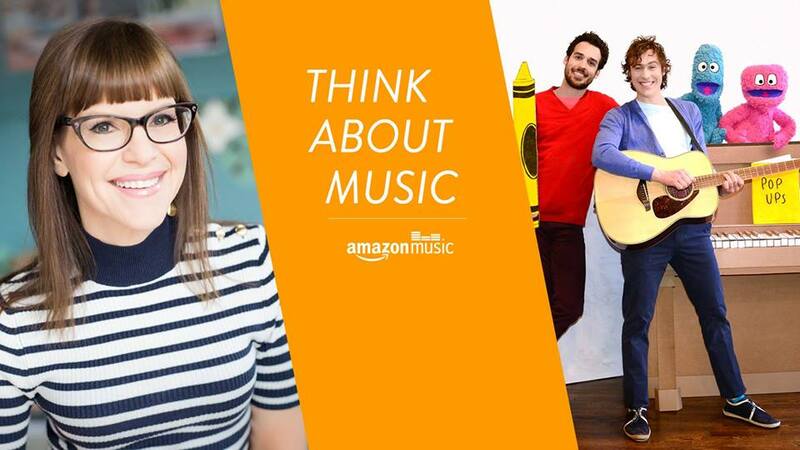 Saturday, March 19, 10 a.m. – 5 p.m.
Join Amazon Music at The Thinkery for a full day of live original children’s music and activity led by singer-songwriter Lisa Loeb Official, two-time GRAMMY-nominated duo The Pop Ups, and more! 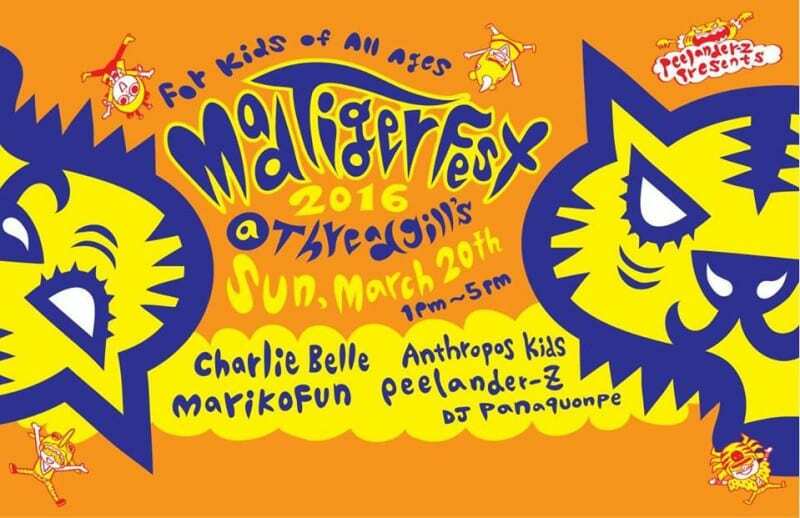 Sunday, March 20, 1- 5 p.m.
Wrap up your Spring Break with high-energy fun at this party featuring a great line-up of bands such as Peelander-Z, Marikofun and Charlie Belle! FREE with RSVP. 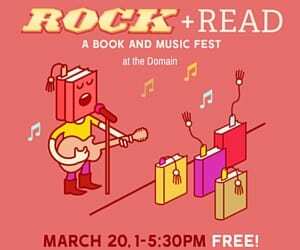 Sunday, March 20, 1-5:30 p.m.
Head over to the lawn at the Domain to hear kid favorites such as the Que Pastas and Mister G, enjoy storytime with local authors reading their own books, a craft-making station, and a trampoline for jumping, too. FREE with RSVP. Want to try some new food during Spring Break? Stop by the SouthBites Trailer Park, presented by Favor. Located at 604 Driskill St., it’s a showcase of noteworthy food trucks form Austin and all over the U.S. Click here to view the full list of trucks you’ll find there. March 11 from 1-4:30 p.m. & March 12 from 3:30-4:30 p.m.
Smart Girls is teaming up with Geek and Sundry, as well as Nerdist, to host two parties during SXSW Interactive. These free, family-friendly events will feature music performances, activities and a panel discussion. Entry is free and does not require a wristband or RSVP. Click here for the line-up. March 16-19, 7 a.m. – 12 p.m.
98.9 will air four early morning broadcasts live from the Four Seasons hotel. These shows are a great opportunity to let your kids see some amazing music in a calm environment. Admission is $10 on a first-come, first served basis, and includes a breakfast taco, granola bars and coffee. They’ve also added a stage for kids on the back lawn for Wednesday’s show, thanks to Spare the Rock! March 16-19, 6 a.m. Wed. – Fri. & 8 a.m. on Sat. For a $5 donation to the Make-A-Wish Central & South Texas, you’ll enjoy 4-hours of exclusive, live interviews and performances from featured SXSW artists, and the first 300 guests through the door each morning will receive a complimentary breakfast treat. Artists include The Avett Brothers, CHVRCHES, Hayes Carll, and many more. Click here for the full line-up. Free shows, all ages, no wristbands required. Autograph signings after the shows. Lineup includes Borns, Thao & The Get Down Stay Down, Sweet Spirit and much more. South By San Jose (SXSJ) is an annual 5 day festival concurrent with SXSW Music Festival in which the hotel parking lot is transformed into a live music venue with bands, local vendors and concessions. The event is always free and open to everyone. 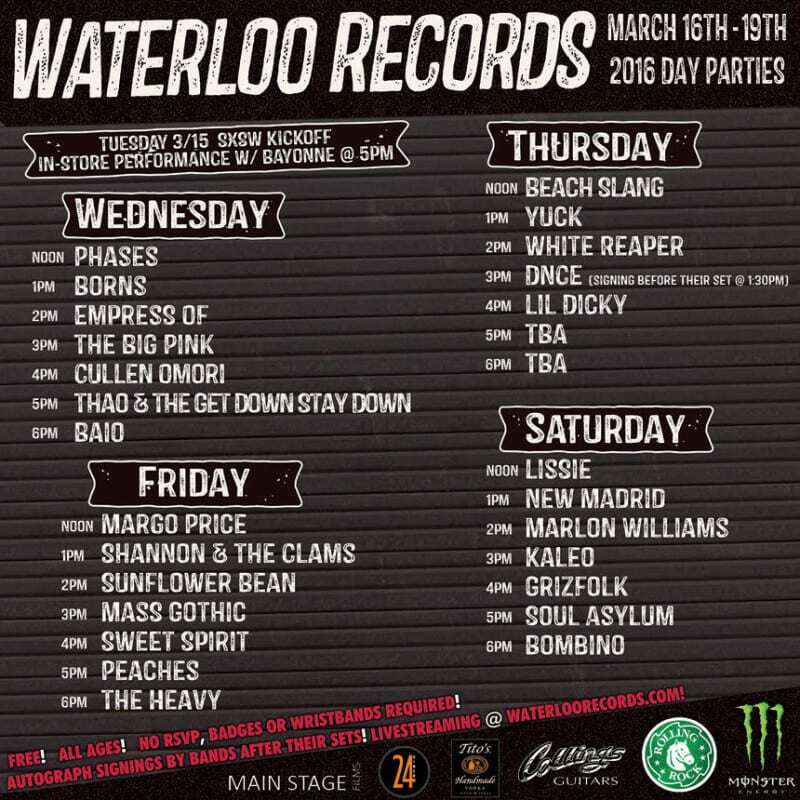 Line-up this year includes Golden Dawn Arkestra, Shannon & the Clams, Bombino and much more. An amazing 3-Day event on the Whole Foods Rooftop Plaza during featuring over 30 artists. Music lineup includes Third Eye Blind, Talib Kweli and so much more. Free with RSVP. This show is free, all ages, everyone’s invited. The Bubble Family Party features music from Chasca, Mark Loughman, Casual Strangers and more. RSVP here. Friday, March 18, 11 a.m. – 9:30 p.m.
Stop into Cherrywood Coffeehouse for this free, all ages show featuring female performers such as Grace London, Tiarra Girls, and more. Free. —-> Want to see these events organized by date? Check out the daily calendar! We’ll be adding more events as they are announced, and you can count on us to post Top Picks of the Day during Spring Break/SXSW. There are just so many fun things to do! We can’t wait! Hey, that's me and my daughter up top!